The award-winning MMORTS that has been in development for almost 7 years is quickly approaching with the launch of the official Kickstarter campaign for Novus AEterno. Unlike most of the games we see appear on Kickstarter, Novus AEterno already has the foundations in place, complete with the design of core features and mechanics. The developers are seeking extra funding to improve the expanding infrastructure ahead of its release on Steam. 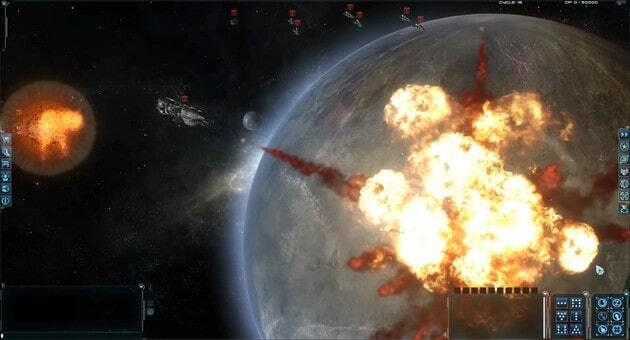 The game has already been in development for almost 7 years and boasts a variety of impressive features. Instead of the traditional combat-based approach for the MMORTS genre Novus AEterno promises to deliver an experience that gives the player a choice. Whether you choose to destroy your enemies with pure might or through diplomatic channels and espionage, it’s all viable in the Novus AEterno universe. Combine this with the ability to colonize planets, engage in unique research-driven upgrades and an intriguing sandbox approach to the main story and you’ve got the makings of something special. For more information on the game you can visit the official Kickstarter page or watch the recently released teaser trailer below.